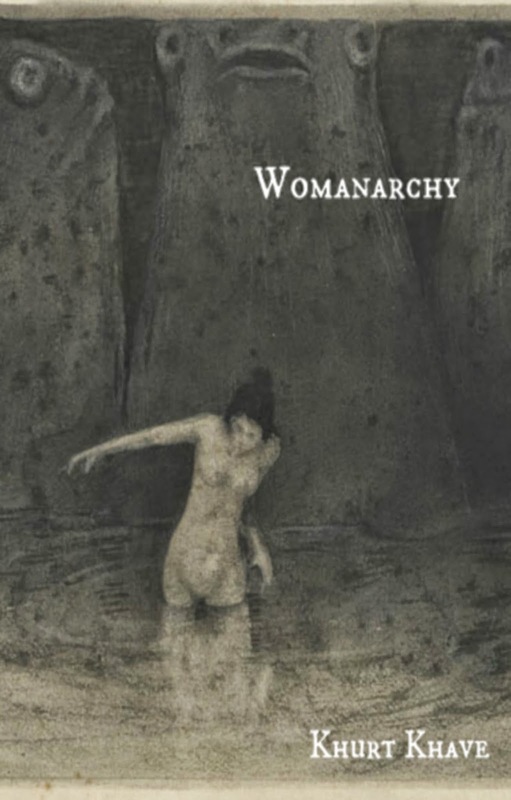 Womanarchy – female empowerment, women rule. Everyone has a cause they feel strongest about. Feed the children. Save the whales. Mine just happens to be equality and an end to domestic violence (preventing violence in the home will hopefully have a world-altering ripple of reducing and eliminating all other forms of violence). Especially now that I have daughters of my own. Our parents' generation fucked over the entire planet. We failed to save it. Now we have to fix it for the next generation. A major portion of the verse contained in Womanarchy became song lyrics. I was the singer/head noisician in an industrial punk band named Crowd Violence (not just political and social, but emotional and psychological crowding as well). A lot of the lyrics were about body issues, depression, suicide, abuse, infidelity, and so on. But the key element they all posed was HOPE. Like when Pandora opened her box and let out all the evils into the world, there left at the bottom was HOPE. That is the one thing you must never lose, must never give up. That was the era of Myspace. I had over 14,000 friends. The band was huge in the Australian underground punk scene apparently. The internet eliminates all borders. People who needed my music, found it. My words had meaning. I became a one man online teen suicide hotline. I would have as many as eight messenger windows open at once. The most often mentioned statement was that for the first time in their life they didn't feel alone. That they weren't the only ones going through such tragic events. Many were contemplating suicide. Others were in the act while we spoke. Holding a razor in their hand, or a bottle of sleeping pills by the bedside, or searching the internet on how to tie a noose—then they stumbled across me. They had the anonymity of the web which allowed them to be completely honest, completely open, with me as well as with themselves. And that's when the change would happen. We would talk about their hopes, their dreams, their goals, their accomplishments. We would figure out what needed to be different, to be better, or to be done with. I was always truthful. I never promised that everything would be alright. But I convinced them to try. Give it one more year. Two. Five. You can kill yourself anytime, but you can't come back from it. Think of all the things you haven't done yet, haven't experienced. They said they would try. Music, singing, writing, acting, drawing, dancing—living. Whatever their passion was. They would give it time. Concentrate on the good things and let the bad things fade away. Be safe. Be happy. And by their own admission, because of my words, they chose not to kill themselves that night. My “art” saved dozens of people's lives. There is no higher achievement than that. Alfred Kubin was an Austrian illustrator who is considered an important figure in the Symbolism and Expressionism art movements. Noted for his macabre and fantastic imagery, sadly, his work is generally unknown. He suffered from depression, attempting suicide on his mother's grave in 1896 and suffering a nervous breakdown in 1903. 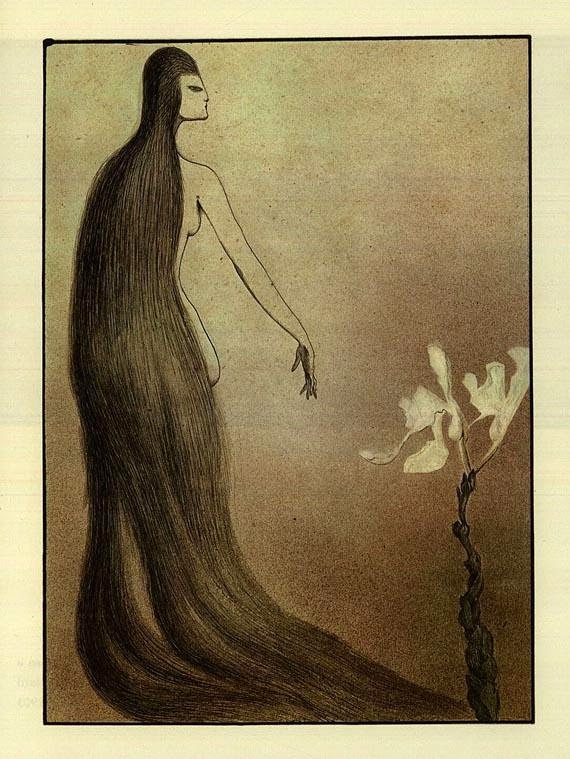 He wrote and illustrated the novel The Other Side in 1909, inspired by the death of his father. 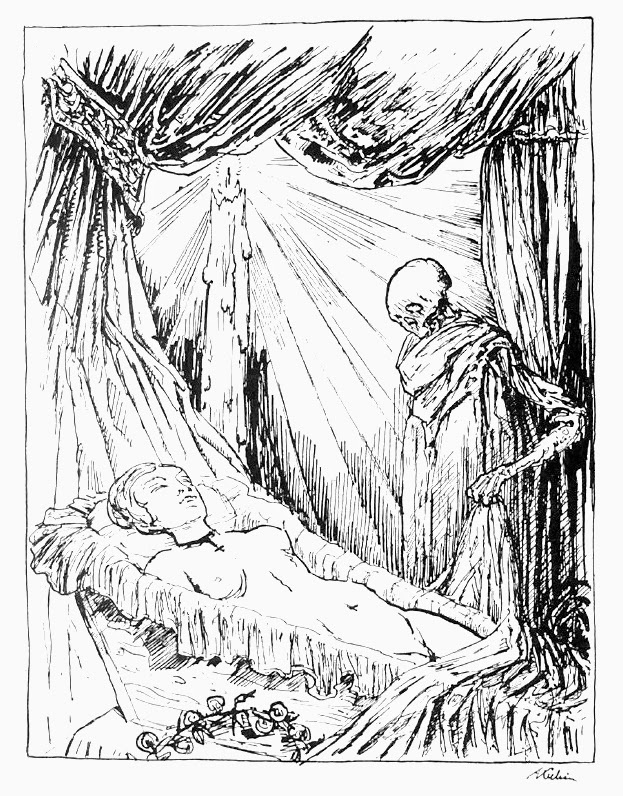 He also illustrated works by Edgar Allan Poe, E.T.A. Hoffmann and Fyodor Dostoevsky. 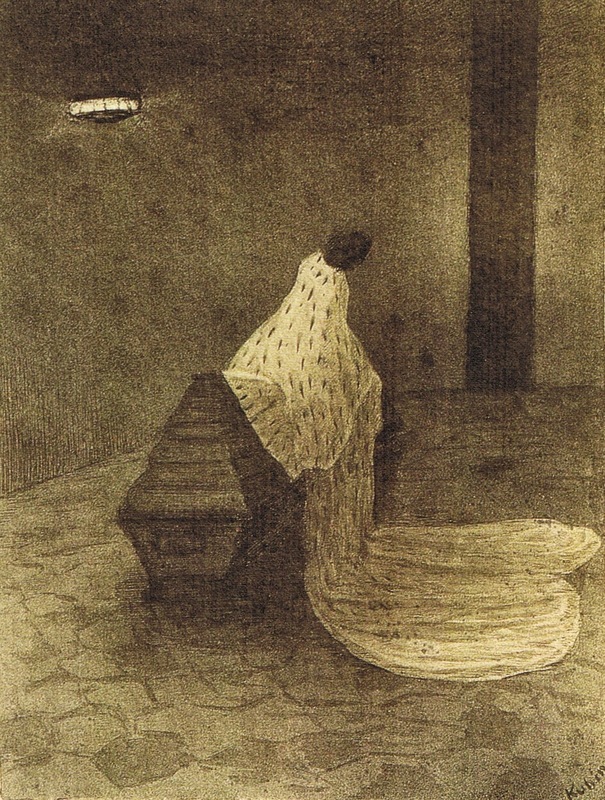 All artwork in Womanarchy is that of Alfred Kubin. His hauntingly beautiful imagery fits perfectly with my words. His body of work is very poorly cataloged. Many galleries and art houses displaying or selling Kubin's original prints often have them mislabeled, misdated, or even inaccurately listed as untitled. I searched countless months through unmarked electronic galleries, private research papers, and unlisted museum pdf's for names, dates, and quality images. The pictures in the book represent the best of his work. He has a large amount of work not included here which I encourage you to seek out.